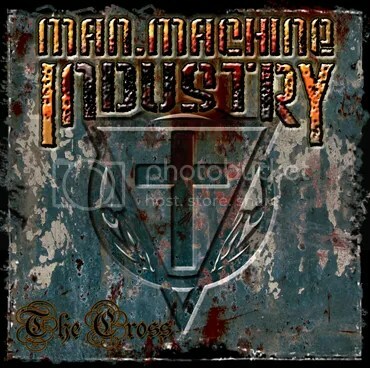 Man.Machine.Industry are working on their new album, but apparently they’re so eager to share their music that they decided to release an EP in advance. When frontman JB said some time ago that things would be different, I confess I was a bit apprehensive. What I’ve always loved about M.M.I. was their industrial twist over the shredding metal and I was afraid they’d now go old school thrash all the way and get lost among all the others of that genre. But no. Things are indeed different, especially when it comes to keyboards, but both from what they’ve done so far AND from what other metal bands do. It’s not by chance that the EP is titled after the first song – “The Cross” is the best track of this 4-piece. Its backbone is made out of a more traditional heavy metal riffing entwined with some heroic synths and it sounds pretty strong. As always, the bass makes its stand and adds a groovy depth all over the song. Also the sharp beat and the determination in the gang vocals shouting “THE CROSS!” will make their way through your ears. “Kill” has these intriguing keys which is what will catch your attention. The rhythm is not so fast – except for a few moments closer to the end, where the band starts thrashing away – and the guitars are a bit shallow, but the keys draw some spotlight and make it interesting. The beat in “Colours” reminds me of “Vivete et Sinite Mori (Live and Let Die)” but at a slower pace. It’s somewhat repetitive and monotonous, the melodic guitar solo a little dissonant and out of place among the rest of the instruments. It’s the lesser track of the EP. On the other hand, “Slave” is full of speed and aggression, giving you a glimpse of a rawer side of M.M.I.. Still is “The Cross” that mirrors their true nature and I’m looking forward to the upcoming album, which apparently will follow that direction. JB said he “got some awesome songs for that one” and I believe him. M.M.I. 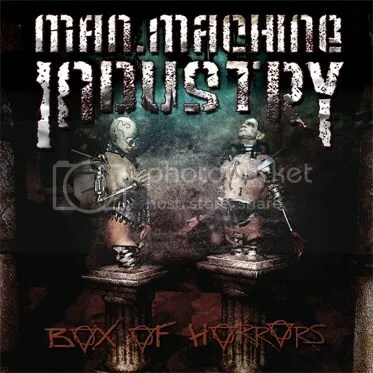 release video for "To A Blood Red Sky"
Stockholm based industrial metal MAN.MACHINE.INDUSTRY have just released a video for the song To A Blood Red Sky, featured on their latest album Lean Back, Relax And Watch The World Burn. It’s the second video for this album, directed by singer/guitarist J. Bergman himself. The first one, a KILLING JOKE cover of “Eighties”, featured Jens Westin of CORRODED. “To A Blood Red Sky” also has a special guest, this time Ronnie Nyman from ALWAYS WAR. And fifteen fans and friends, who already had their screams recorded in the album.